Template Design - The Perfect Choice for Responsive Website Design on a Budget! Have the template and layout of your website designed to your requirements, and then simply add content and images yourself using the easy website builder! You will also have unlimited support from us if you have questions on using the site builder! Enjoy an extended 30 day free trial period to ensure your content is picture perfect! Included in the template design package, we will create the header, sidebars, footer and body areas of your website, and also add the page and category names you need, ready for you to add your content to these pages! You may also like to take advantage of the special logo design offer with this package - have a professional logo designed to enhance your website template design from $299! If you have not yet signed up for the free 10 day trial, please do so - the trial registration form contains a website design and layout questionnaire to help us better understand your website requirements. The Template Package will be designed for you on our easy to use hosting system with an extended 30 day free trial period for you to enjoy adding your content and creating the perfect website for your needs! 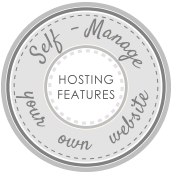 Standard hosting is $29.95 per month, ecommerce hosting is $59.95 per month - read more on the hosting features and fees HERE. "Moving your new venture into the on-line world can be overwhelming, but not when you work with SiteFresh. I received such great service and finished product, not to mention subsequent assistance and follow up support. Responsive, professional, creative, supportive, and patient. Public feedback has all been extremely positive. From the moment you engage SiteFresh, you can absolutely relax knowing you are in safe hands." 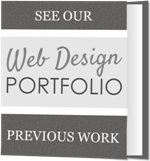 "I cannot reccommend SiteFresh Web Design services enough! They have been fantastic to work with and have created the most amazing website and it is better than I ever imagined. Have loved working with them and so excited and proud to refer others. Thank you so much! ♥ lots of love."